Have you seen these funny little dolls? They sure are cute, it’s abundantly evident that Mr. Roberts has a sense of humor with their funny shaped little arms and wide eyed faces. 1982 Xavier Roberts Little People Pals pattern and instruction book. 1982 Xavier Roberts Little People Pals kit. 1982 People Pals dolls constructed and “born” at THE Babyland General. This book provided “ARTISTS” a pattern, instructions, and a supply list. The book provided the artist with 2 doll sizes to choose from, and 6 different hairstyles. The pros of the pattern book dolls are that any skin color choice eye color choice, and hair color choice are available to the artist. This is not the case with the kit dolls that had very limited skin, eye, and hair choices. The quality of materials, and the quality of construction varied greatly with each “ARTIST”. Doll came without a makers tag and was never signed by Xavier Roberts. Dolls came with a certificate of authenticity that looks almost identical to the certificate of the kit dolls. These dolls wear standard infant clothing. These kits came with instructions and all materials to make the doll. These kits were distributed by Plaid Enterprises Incorporated. They are very similar to the Martha Nelson Thomas doll kits. Three kits were available: 9500 blonde, 9501 Brunette, and 9502 Redhead. Only Caucasian doll kits were available. These dolls have no makers tags and they wear standard infant clothing size 6 months. These dolls will never be signed by Xavier Roberts. The quality of construction of these dolls will vary upon the skills of each “ARTIST”, however, the materials used were more standard and consistent than the pattern book dolls. -100% Polyester fabric pre-cut into 2 body panels, 2 right arms, and 2 left arms. -10 yards heavy duty button thread, ( Polyester core cotton covered ). -1 Assortment of acrylic paints ( eye color ), .25 fl oz, in green, brown, blue, white and clear finish. Let’s take a closer look at our Certificate of Authenticity. We see that Xavier Roberts has signed above the blank labeled DESIGNER. To the right of that, there is a blank for the ARTIST to sign. The artist being the person that assembled the kit. 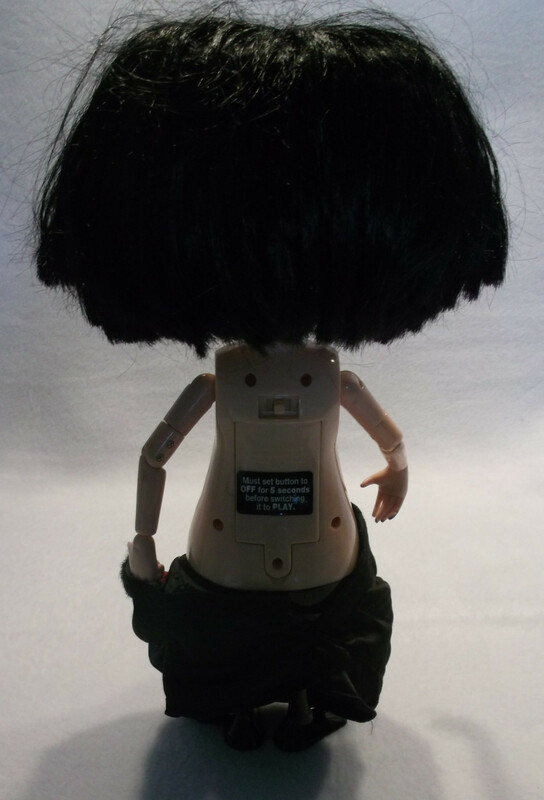 These dolls have makers tags sewn into their sides, hand signed signatures, certificates of authenticity that have no blank for artist, and name placards. The makers tag will be dated 1978. Xavier Roberts made only 10,000 of these dolls. Take a look at the Certificate of Authenticity below: that dolls is only #413! They also come with a pal registration number. These dolls wear clothing that is branded Xavier Roberts, or Babyland general. This is the best kind of Little People Pal and this is the kind that you have. The doll below is valued at $900.00. The Pattern Book and the Kit certificates are identical except the type of paper that they are printed on. They both have a space for the ARTIST to sign. They do not have a Little People Pals Registration number. Thanks for visiting Katrina’s Toy Blog! Your place for affordable quality preowned toys! Family Friendly Content – 100’s of FUN toy videos for kids! Looking for the best magnetic board for your child? Wondering which one is the best? I’ve got answers for you! In this post I will compare each of the features and give you my verdict! We will start by watching a short video of each of the toys, and they we will get into the nitty-gritty! What do the toys have in common? Both toys feature magnetic screens that are comparable in size. The Doodle Pro screen is more gray in appearance and there are markedly noticeable black honey combs visible – even when the screen is blank. They Doodle-Pro screen writes in black only. The NextX screen is “whiter” and has more the look of paper. There are no black honey combs, small white dots can only be seen once the board is drawn up. The NextX screen writes in colors: blue, yellow, red, and green. Both stylus’es are of adequate size, and both are connected to the toy with a string to prevent the stylus from becoming lost – an important feature that I love! The Doodle-Pro stylus is attached to the toy in the bottom center. This is terrific because it ensures that both right handed and left handed children have a long enough string to freely draw without battling the string getting in the way. The tip of the Doodle-Pro stylus was a bit thick, this made getting details in my drawing difficult. I would’ve appreciated a finer tip. There is no storage spot on the toy for the stylus – that would’ve been a nice bonus feature. The NextX stylus is also attached to the toy. However, it is attached to the right hand side of the toy. Being a left handed person, I found the string to be a little too short, and I battled the string getting in the way while I drew. If your child is right handed, as 90% of the population is, then there will be no issues for your child as this toy is clearly designed with a right hander in mind. But for us lefties, it was a bit of a bummer. I found the stylus tip to be finer than the Doodle-Pro. I felt that I could get a bit more detail in my drawing. This toy has a nice storage spot for the stylus. Both toys came with stamps. I do not think that stamps are particularly important for these toys, but I am an adult who loves to draw. If your child loves to draw, then I’m expecting that they won’t use the stamps all that much. The stamps are of most benefit to the younger users of the boards. The Doodle-Pro came with 4 stamps: star, circle, triangle and square. 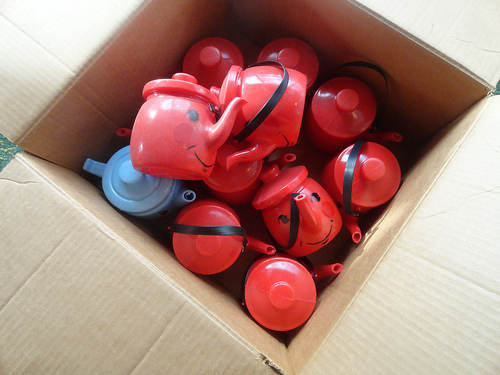 There are handy storage spots on the toy for them to help prevent them from becoming lost. I like the Doodle-Pro stamps because they will help kids learn shapes. The NextX comes with 5 stamps: pineapple, strawberry, eggplant, romaine lettuce, and grapes. Though there is storage for the stylus, there is no storage offered for the stamps. The stamps are fruits and vegetables, also curious to me. Why not feature all fruits, or all vegetables? Both toys offer a slide eraser that is located on the bottom of the toy. They look exactly the same, but they do NOT perform the same. The Doodle-Pro eraser performs poorly. Watch the Doodle-Pro video at 2:46, one swipe, nope, still there. Then you see me scrubbing away at the image with the eraser trying to get it to “go away”. After I’m done, you can still see a “ghost” of the former image. During the rest of the erases of the video, I cut out the scrubbing and speed up the whole erase in the edit process because watching me spend so much time and effort to erase would make for a boring video. The NextX eraser was fantastic! I could not believe that I could erase in only one swipe, and with no “ghost” image!! Watch the NextX video at 3:13 – AMAZING! I did not edit the any of the erasing portions of the NextX video. There was no need to. The eraser is quick and thorough. I recommend the NextX magnetic board write and learn creative toy. These dolls were purchased in “kits”. The body and head were purchased separately. Pictures above is the body kit. Included was a pre-sewn doll body, instructions for hand finishing, how to stuff the doll, and how to affix the head to the body. Because these dolls’ “soft-sculpture” traits, ( belly buttons, bottoms, elbow, knees, fingers, toes ), were constructed by each individual who purchased the kit, quality of craftsmanship will vary vastly according to the skills of each doll maker. The doll maker would need to purchase the DOLL BABY head, flesh colored polyester thread, ball point sewing needle, and fiberfill stuffing. The doll baby head was made out of durable vinyl. The doll heads were 4.5″ tall. The DOLL BABY head came with the birth announcement, certificate of authenticity, a name tag, care instructions, and the doll baby story. Finally, these dolls were made to fit infant clothing size 3 months – which is really a really easy way to obtain cute, properly fitting clothing for your doll!! Kentucky native Martha Nelson Thomas is the creator of the original doll baby. She began making dolls as a child and says, “that’s the way I played. I’d make the dolls and my sisters would play with them”. Her mother, a seamstress, taught her to sew, and her three sisters and four brothers provided her with a deep understanding of the importance of fantasy in the minds of children. Pursuing a career in art, Martha enrolled in the Louisville School of Art. During her senior year there, Martha created her first life-sized painted doll. From that first soft-sculpture doll, Martha began developing what is now known as her DOLL BABY. Martha’s philosophy about dolls is simple…..they are meant to be loved, cuddled, slept with, and most of all, played with. She feels that too often we seem to forget that it is the children who gives life to the doll and not the reverse. DOLL BABIES create priceless childhood memories with their unique charm. Created with love, a DOLL BABY makes a very special addition to your family. Martha Nelson Thomas’ DOLL BABY is the original…..there is no other. Since all DOLL BABIES are meant to be played with, cuddled, and loved, chances are they will get a bit dirty every now and then. Don’t worry….this is a natural thing! 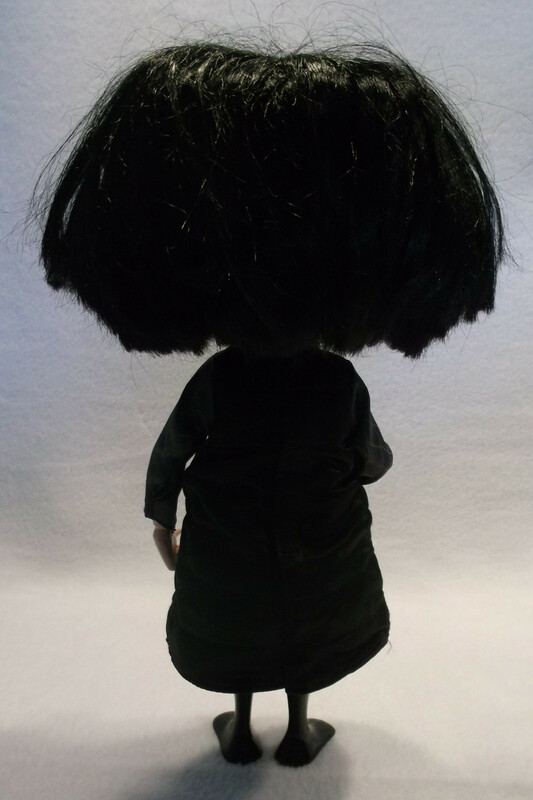 Our doll head is made of high quality, durable vinyl and if you made your body following our instructions, it will be made of 100% polyester interlock knit fabric. Both of these materials are washable! To begin washing your baby, you must first undress it, ( oh well, babies love to change clothes, they usually wear a size 3 months, so they are usually pretty easy to fit ). Put a shower cap over your babies hair to keep it from getting wet and then give your DOLL BABY a sponge bath using lukewarm mildly soapy water, (Katrina’s toy blog recommends Woolite). Air dry the doll – no hair dryers or dryers. Just lay the DOLL BABY down for a nap while it’s drying. Once your baby is dry, sprinkle a little baby powder on it’s tush, that’s what makes BABY smell right! By the way, DOLL BABIES are allergic to dog bites and sauerkraut! Even though these dolls were designed to fit any infant clothing sized 3 months, quick and easy clothing kits were also sold to make designer outfits. Who is Martha Nelson Thomas? Have you ever seen a doll head, like the one below, for sale on eBay and wonder who the heck is Martha Nelson Thomas and why has she ‘copied’ the Cabbage Patch kids? Martha Nelson Thomas is a dollmaker from Kentucky. In the early 1970’s she was making amazing soft sculpture dolls-complete with birth certificates. She was doing this while Xavier Roberts was still in High School. Martha’s soft sculpture dolls looked very much like Xavier Roberts’ Little People that arrived on the scene just a few years later in the late 1970’s. HMMM……….now, who has copied who? A Martha Nelson Thomas of Louisville sued Roberts in early 1980 claiming that the idea for the dolls was hers. Was Martha Nelson Thomas just a parasite looking for 15 minutes of fame? Or was she telling the truth? Martha Nelson Thomas was selling her special soft sculpture dolls at a Crafts show in 1976. Xavier Roberts saw the dolls. He liked them so much that he later tried to make a deal with her to carry them in the gift shop he worked for. (Court records include a letter Roberts wrote suggesting he would, “carry your type of dolls.”) So what happened? First, Roberts and Thomas were unable to agree upon a price and the deal was forgotten. Roberts made his own dolls – over $500,000 worth in 1978 alone – and by 1979 Thomas took notice. Second, Thomas filed suit in January of 1980 alleging infringement on her design. The defense conceded that Roberts had seen her designs and had produced something similar but the initial claim was rejected in 1983 because she had not filed for a copyright on her dolls. 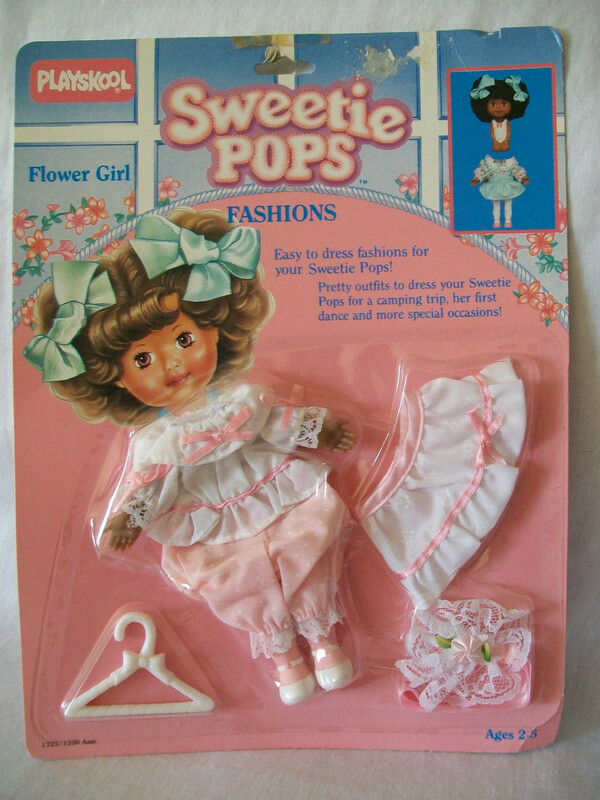 Thomas produced her own line of “copycat” CPK dolls (though it is clear now who was copying who) called the Original Doll Baby, whose box emphasized that Thomas had been making them since 1971. This time she copyrighted them. Katrinastoyblog hopes that Martha was able to yeild enough money from the Original Doll Babies to make a comfortable life for herself and her family.Martha passed away in Spring of 2013. That very day, I boogied over to Amazon and bought this electronic toy book! The book was much larger than I expected at 12.5″x13″. It is a large hardcover book with an attached piano on the right hand side. The piano has 9 keys, each corresponding to it’s own color: violet, light green, red, sky blue, pink, green, orange, purple and yellow. To the left of the keys, there are 10 buttons, ( bottom to top ): Elmo, blue mitten, Barkely, moon, 123, Zoe, sun, Cookie monster, Big Bird, Little Bug. Each key plays it’s own song. The picture above doesn’t exist as a page in the book, ( though it certainly should! ), I made it for you using the back cover and the keyboard. It really explains how this toy book works! Oh dear what can the matter be? – Oh dear what can the matter be? The pages of the book are very sturdy. They are not paper, as I would have guessed that they’d be. They are cardboard: the consistency of a shiny cereal box. A child would need to put in some effort to damage this book. The pages do have a tendency to stick together. In fact, I shot the complete play video for this toy book two days ago, just now realizing that I missed the Little Miss Zoe page altogether as it was thoroughly stuck together. I re-shot and re-posted the whole video at considerable inconvenience. The book is set to be played in a ‘landscape’ orientation. There are 20 pages in the book, they are paired in sets of 2: one page features the illustration, and the other page features the nursery rhyme and the color coded music. -Press a song button and sing along. -Watch the piano keys light up one-by-one with the melody. -Then follow the lighted piano keys to play the song yourself. -Match the colorful music notes in the book to the piano keys to play on your own! Watch the Full Complete Play Video! stocked in the average home. When your child’s toy needs new batteries, a special trip to acquire new batteries must be made. These batteries cost $5.99 for 2 sets, ( 6 batteries ). I would have preferred to see 4 AA batteries instead. A common battery, easy to find, and easy to buy in rechargeable! Aside from the non-original lyrics and melodies, and aside from the battery style selected to power this toy, I like this toy and I think that your child will LOVE it! 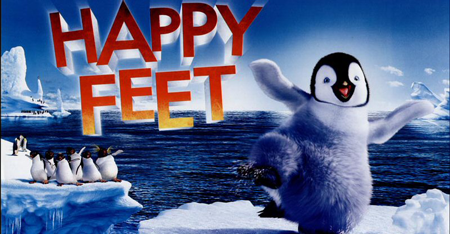 Happy Feet is a 2006 is a computer-animated musical family film, directed, produced and co-written by George Miller. It was produced at Animal Logic, located in Sydney Australia, for Warner Brothers, Village Roadshow Pictures and Kingdom Feature Productions. The completed film was released in North American theaters on November 17, 2006. It is the first animated film produced by Kennedy Miller in association with visual effects/design company Animal Logic. Though primarily an animated film, Happy Feet does incorporate motion capture of live action humans in certain scenes. Happy Feet won the Academy Award for Best Animated Feature and the BAFTA Award for Best Animated Film, and was nominated for the Annie Award for Best Animated Feature and the Saturn Award for Best Animated Film. The film was dedicated in memory of Nick Enright, Michael Jonson, Robby McNeilly Green, and Steve Irwin. A sequel, Happy Feet Two, was released into theatres November 18, 2011. Every Emperor Penguin sings a unique song called a “heartsong” to attract a mate. If the male penguin’s heartsong matches the female’s song, the two penguins mate. Norma Jean, a female penguin, falls for Memphis, a male penguin and they become mates. They lay an egg, which is left in Memphis’ care, while Norma Jean leaves with the other females to fish. While the males struggle through the harsh winter, Memphis briefly drops the egg. The resulting chick, Mumble, has no vocal talent, but can tap dance. Nevertheless, he is enamored with Gloria, a female penguin who is regarded as the most talented of his age. Once grown up, Mumble becomes an outcast from his tribe of Emperor Penguins. After being shunned during the graduates’ song, his is attacked by a Leopard Seal. After escaping, he befriends a group on Adelie penguins who call themselves the Amigos. After admiring Mumble’s dance moves, they welcome Mumble into their group. Mumble and the Amigos have many daring adventures, helping their friend Lovelace, a Rockhopper penguin, escape from entanglement in plastic soda pop rings. Mumbles friend Ramon attempts to help Mumble court Gloria, with negative results initially. But Mumble eventually wins her over by dancing to the beat of her “heartsong”. Unfortunately, Mumble’s dancing becomes the scapegoat of the tribes lean fishing season. When Mumble refuses the tribal elders orders to stop dancing, he moves from mere outcast to banishment. The research team follows Mumble’s tracking device and finds his colony. They take film footage of their expedition footage back to their governments. The governments realize they are overfishing, leading to the banning of all Antarctic fishing. At this, the Emperor Penguins and the Amigos celebrate. In the final scene, a baby penguin is seen dancing next to Mumble and Gloria, revealed to be their son Erik in Happy Feet Two. Video’s courtesy of Katrina’s Toy Channel – Subscribe today! Looking for some great Happy feet toys? Look no further! Here’s an awesome assortment at Amazon! DISCLAIMER: I often review or link to products & services that I regularly use and think you might find helpful. To support this blog and my youtube channel, I use Affiliate links wherever possible, which means if you click one of the links in this video or description and make a purchase I may receive a small commission or other compensation. Thanks for the support! 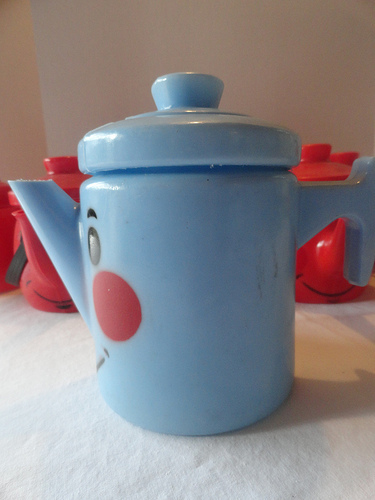 As I was out picking on my at my usual haunts, I came across the most charming little plastic Teapot! It is 4.5″ to the top of the pot; 6.75″ to the top of the black handle. Unfortunately the lid was missing. 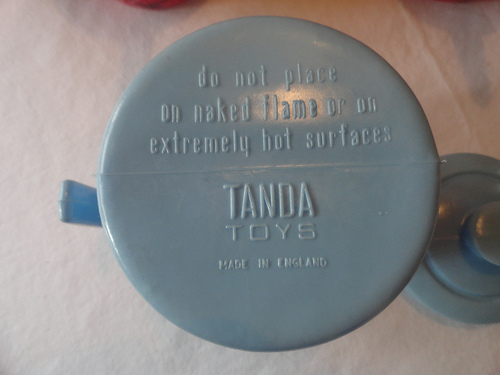 But the face was so charming, I took a second look at it and noticed that it had makers markings, “Tanda Toys Made in England”. Well, that was the boost I needed to put it into my cart! I buy anything that I think is neat, especially items that any makers mark or indications that it is made anywhere that is not China! I brought the little red teapot home and proceeded to do some research on Tanda dishes. Unfortunately, I came up with very little information. 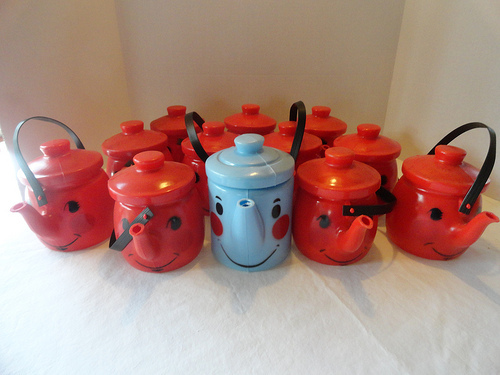 These toys are made by Tanda Toys in England in the 1960’s. I did learn that in addition to the red teapot, there is a coffee pot, cassarole pan, kettle, a stirring spoon, and a frying pan. 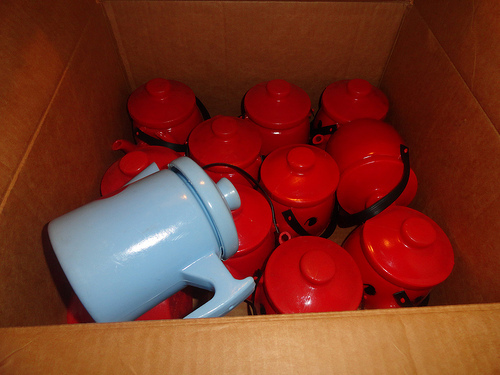 Each piece came in several colors: Teapot in red or yellow, Coffee pot in light blue or yellow, cassarole in orange or yellow, kettle in light green or yellow. 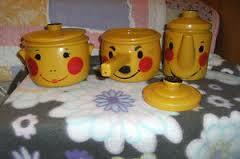 Measurements: cassarole is 6″ x 10″, the kettle is 6″ x 4″, and the tea pot is 4.5″ x 3.75″ in diameter. I bet you have two questions on your mind: what are these toys worth? and where can you find them?I found a completed listing for a set of 6: coffee pot, tea pot, cassarole, kettle, skillet, and stirring spoon for $59.00, or about $10 per piece. This is an amazing price and an amazing find. 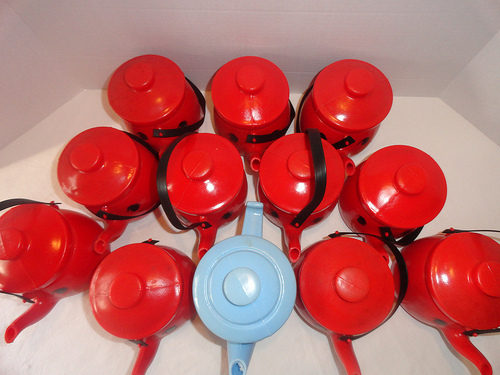 I found another completed listing for a set of 3: cassarole, kettle, and coffee pot for $22.00, or about $7 per piece. 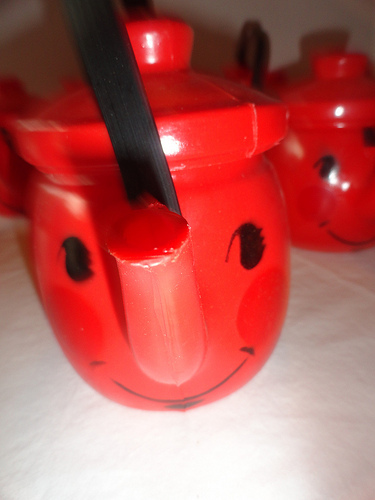 However, the little red teapot that I own, that is missing it’s lid will be listed at $29.99 plus shipping. Yes, I value these incredibly RARE pieces at much much more than they sold for previously. When toys are grouped in a “lot”, the buyer always gets a better deal than if they were to buy each piece individually. 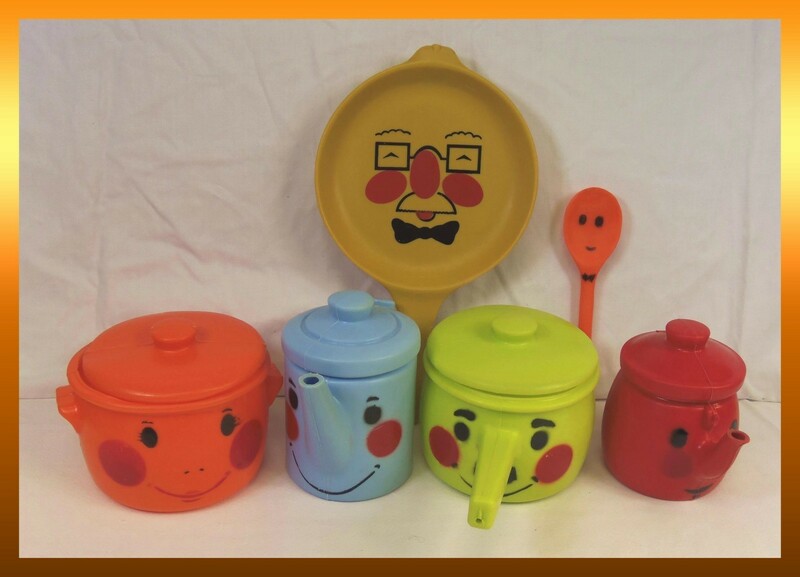 Couple this with the fact that I will probably never be able to find another of these Tanda toys dishes at any of my treasure finding venues and the price goes UP UP UP! Wouldn’t you LOVE to find a box of these at your next garage sale?? Special thanks to Modsquadpicking. Please visit her facebook page and browse her items! 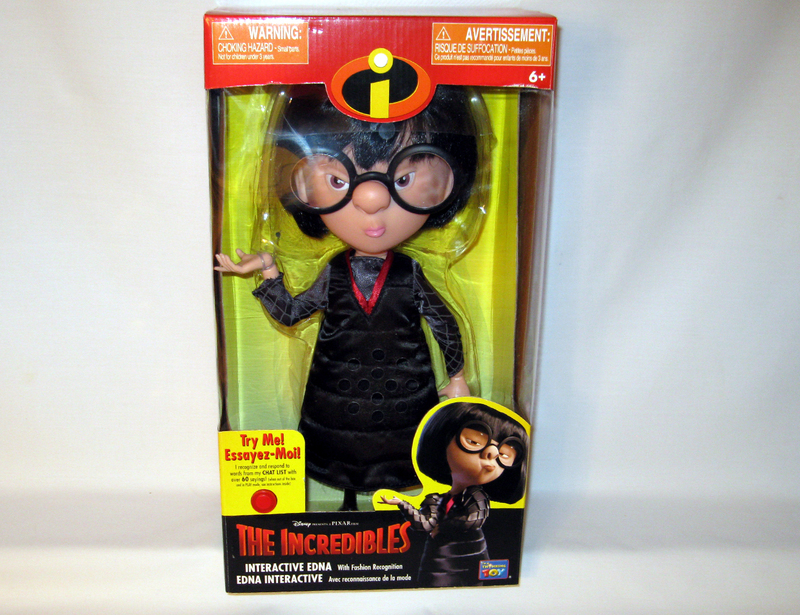 Edna Mode is a character from the Disney Pixar animated movie The Incredibles. 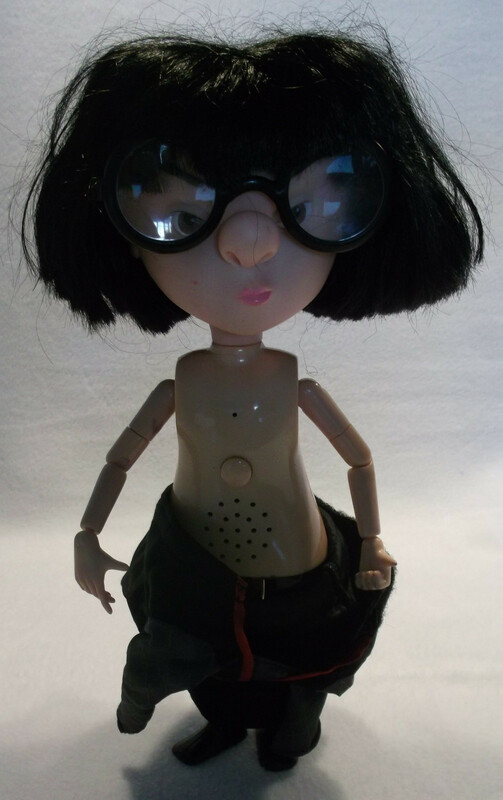 Edna is a half Japanese, half German eccentric fashion designer. Using her aesthetic skills, and taking into account protective qualities and practical uses that each individual wearer requires, she dresses the superhero community. 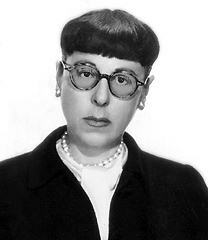 The Edna mode character is a direct homage to real world Hollywood costume designer Edith Head with her no-nonsense personality and round glasses. 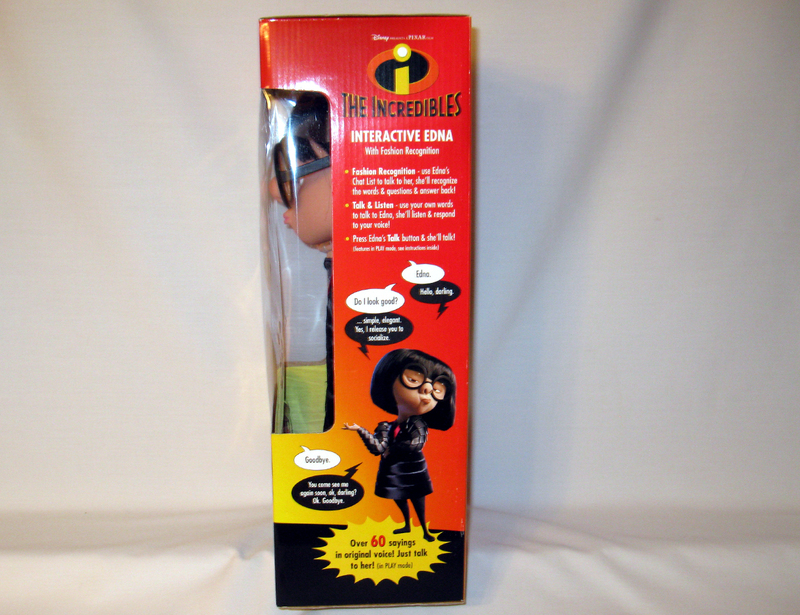 Thinkway toys made an interactive talking Edna Mode doll that is simply……INCREDIBLE! The doll is 14″ tall and made of plastic. 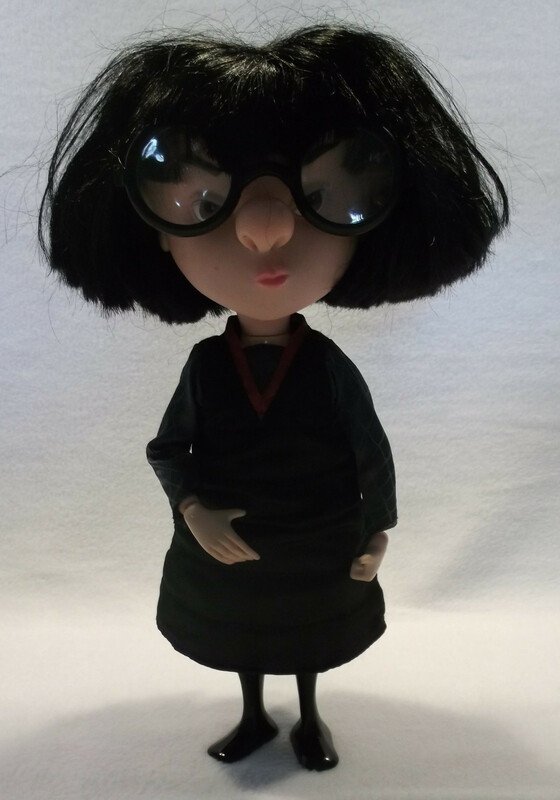 Edna’s dress is a silky black material. She does not come with separate stockings and shoes; her legs and feet are molded black plastic. She has pose able arms with articulated shoulder, elbow, and wrist joints. She requires 3 AAA batteries. She is an interactive talking doll that will recognize and respond to words from her chat list; she has over 60 sayings! Edna fuses fashion sense with the latest technology! This superhero designer can respond to your voice. 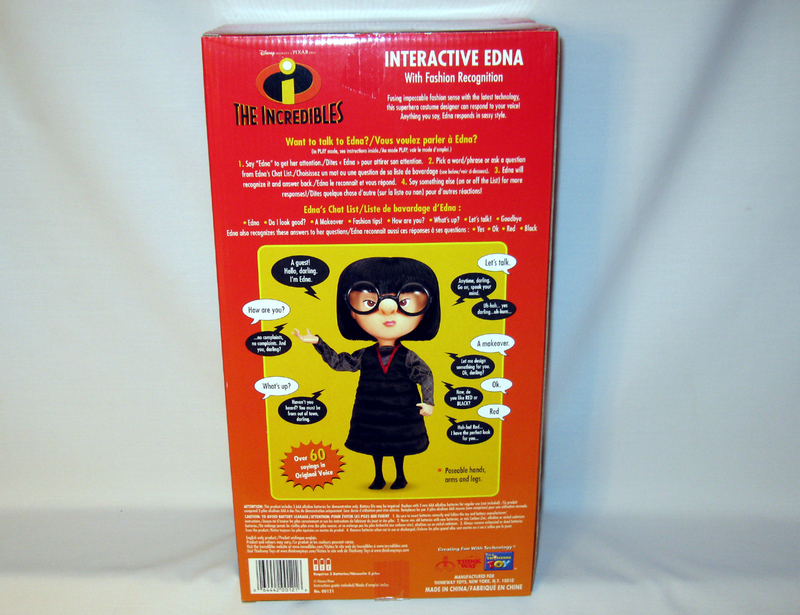 Anything you say, Edna responds in her sassy style! Use Edna’s chat list to talk to her. She’ll recognize the chat list and answer back! No complaints, no complaints; and you darling? Let me design something for you okay darling? Haven’t you heard? You must be from out of town darling! You are trapped in your look darling, let me design your escape! Simple, elegant, yes! I release you to socialize! You come see me again okay darling? Video courtesy of Katrina’s Toy Channel – Subscribe today! 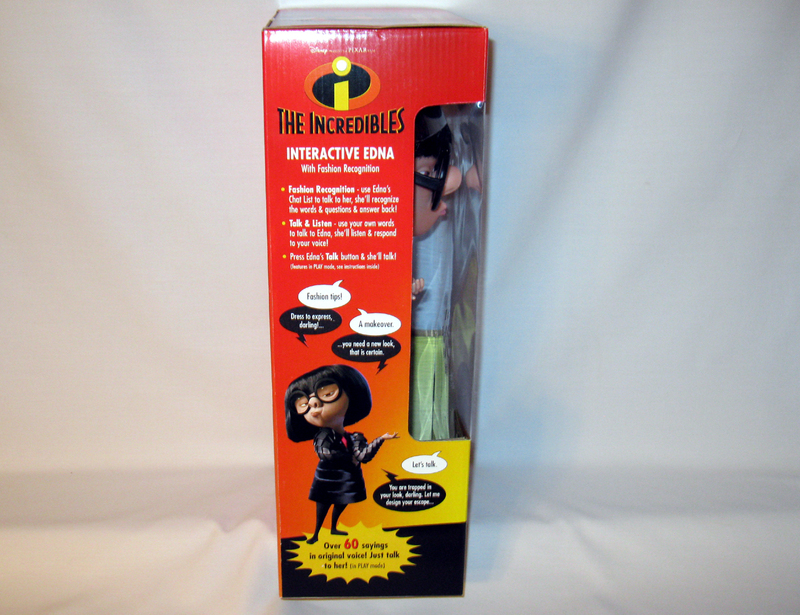 Looking for some great Disney Incredibles toys? Look no further, here’s a great assortment from Amazon! DISCLAIMER: I often review or link to products & services that I regularly use and think you might find helpful. To support my blog and my youtube channel, I use Affiliate links wherever possible, which means if you click one of the links in this video or description and make a purchase I may receive a small commission or other compensation. Thanks for the support! You’ve just purchased that REALLY GREAT singing, dancing, walking, talking and jiggling toy off of eBay, but when you tried to play with the toy it did NOTHING!! Don’t despair, TROUBLE SHOOT! While all battery operated and electronic toys can stop working for no explicable reason, many times it is a simple problem that can be easily remedied. Insert BATTERIES. Here at Katrina’s Toys we ship our toys without batteries. We do this for many reasons: it’s against USPS rules to ship batteries, it adds unnecessary weight to shipping. Batteries installed wrong. Make sure the batteries are in the right slots, facing the right direction, and completely seated in their little slots. Old Batteries. Try some fresh batteries. Or if you’re using some cheap brand, try a different brand. If using re-chargeables , make sure it is fully and properly charged. Battery compartment lid is not screwed on snuggly. Some toys will not work unless that lid is re-installed. Using a screw driver, gently hand tighten those screws to re-install the lid. Check your on/off switches. Some toys have actual on/off switches located most often on the voicebox or on the battery compartment. However, some toys are activated by light, by voice, some by squeezing sensors located in feet, tummies, ears etc. Please contact your seller if you are not sure how to “turn-on” your toy. Re-set the reset button. This will be a tiny hole, most likely located on the battery compartment lid. Insert a paper clip end or a pencil tip and give it a little poke. Corrosion: If the toy has been sitting for a long time with batteries stored inside or the battery compartment has been exposed to moisture and air there could be some corrosion. In addition to replacing the batteries, clean the battery contacts. I have had good results with q-tips and plain old windex. For heavy corrosion you can also try a baking soda paste. These tips will solve most problems. However, sometimes toys will stop working for absolutely no reason at all. They will require more advanced repair. Katrina’s Toy Blog recommends rechargeable batteries – so much better for the environment, and you will find them to be better for your wallet too!! Here’s what you will need from Amazon. 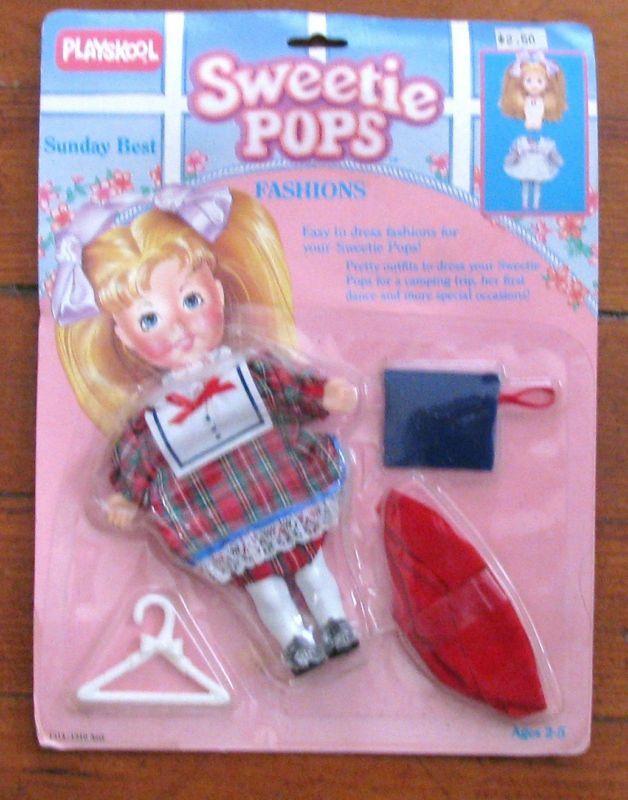 Sweetie Pops were produced by Playskool in 1986. These dolls were designed for very young girls ages 2 – 5. The dolls are made of hard plastic/pvc and are 5″ tall when un-dressed. The dolls are molded into a kneeling position and are non-poseable. Each doll came with specially designed fashion that made it easy for little girls to dress their friends all by themselves! Just pop the kneeling posed doll into her dress, attatch the velcro fasteners on the back of the dress and shes ready to play. The doll’s are 7″ tall when dressed. 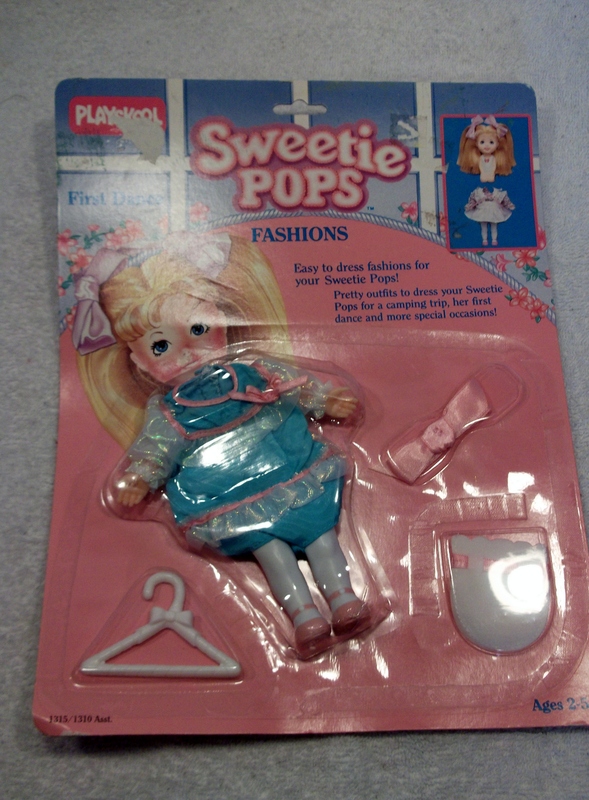 Playskool produced four Sweetie pops dolls: Party Time, Ballerina, School Time, and Party Girl. Dolls were sold with an outfit included. This blond haired beauty is always full of fun! She comes with party dress, pinafore, 2 hair ribbons, hair brush, and party accessories. The school bell is ringing and this little darling brunette is all set to go to school! Includes dress, raincoat, hair bows, hair brush and school accessories. It’s party time and this little Sweetie Pops is so excited! Includes dress, pinafore, purse, and party accessories! 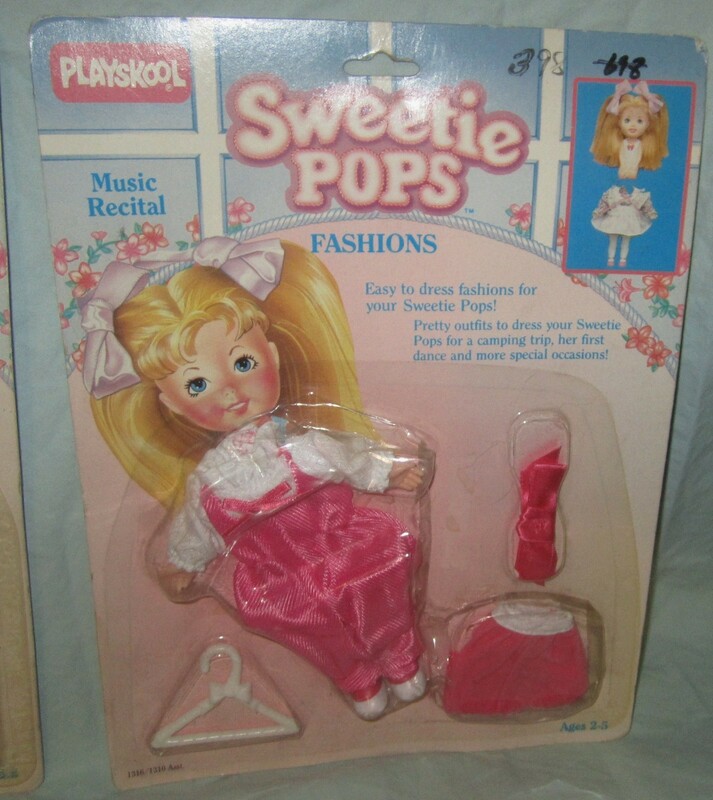 Sweetie Pops Ballerina is a cute strawberry blond that enjoys dancing in the ballet! Includes bloomers, tutu, leg warmers, head band, hair brush, and ballet accessories! Playskool sold 6 different outfits separately: Sunday Best, First Dance, Music recital, Camper, Night wear, and Flower girl. Each fashion came with 1 main outfit, 2 accessories, and a hanger. Our goal is to gather as much information as possible on a variety of different toys and put it into one easy to read article for our readers. You will find many pictures, video, information and related links here. We LOVE to research the obscure and hard to find toys to make it easy for you – our readers! Thanks for visiting and supporting Katrina’s Toy Blog!